For the home or for the office, Brother is one of the most popular trusted printing brands. Brother printers can handle all of your printing needs, from high-volume document printing to lab-quality glossy photo prints. 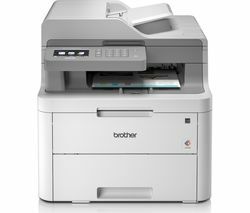 Brother printers are compact in design, the perfect addition to any home or business that won’t take up valuable space. Affordable and easy to use, you have a wide range of printer options to choose from. Brother inkjet printers are great for photos and images, and colour and monochrome laser printers deliver incredible high-speed and low-cost document printing. For added space-saving functionality, Brother All-in-One printers combine printing, scanning and faxing capabilities too. If you’re looking for a quick and easy way to print from your smartphone, tablet or any other internet connected device, check out our wireless Brother printers. You can connect portable memory devices, as well as syncing up with Google Print and iPrint to access the documents and images you want to print without having to plug in any devices. Save time and money and print up to 35 pages per minute in up to 6000 x 1200 dpi. And with LCD touch screen models, it’s easier than ever to control your printing jobs. 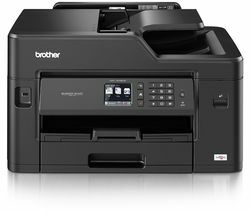 Whether it’s a printer for occasional use, high-volume office work, or for full colour family photos, we have cheap Brother printers to suit you. For an even wider selection, try our Epson printer range or join the 3D revolution with our exciting new 3D printers.